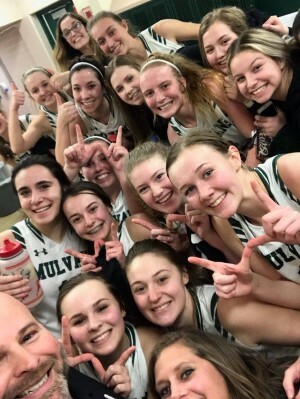 The Mulvane Ladycats grabbed their first win of the season in dramatic fashion as they took down the Ark City Bulldogs 55-54 in their first matchup of the annual Mulvane Wildcat Classic. The first quarter was pretty even as the Wildcats trailed the Bulldogs 11-12 with Keera Parks hitting 2 buckets and a free throw, Alicia Almirante put in one bucket, Haley Hughes hit one free throw, and Carson White dropped in a 3-pointer. 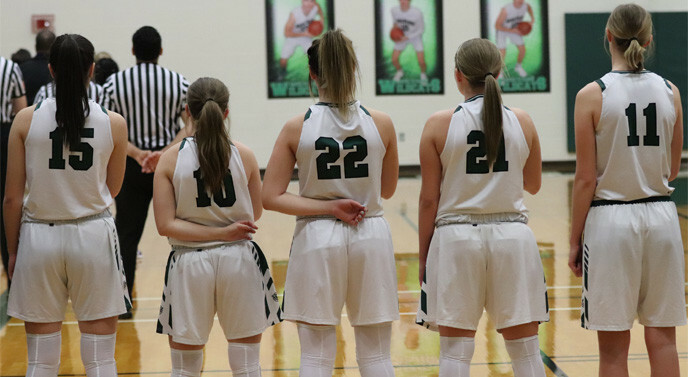 The Cats matched their first quarter score of 11 points in the second quarter with Almirante dropping in 2 buckets, Parks one field goal and a free throw, Jonae Hamilton hit one free throw, and Mady Tharp dropped in a 3-pointer. The Bulldogs scored 16 points in the second quarter, so the Cats were down 22-28 at halftime. The Ladycats won the crucial 3rd quarter and outscored the Bulldogs 16-2 to bring the score to 38-30 at the end of the quarter. Parks was on fire and dropped in 3 field goals and a free throw. Almirante dropped in a 3-pointer and Tharp, White, and Myears all scored a field goal each. The 4th quarter was dramatic and the Bulldogs actually outscored the Cats 24-17, but with the fantastic 3rd quarter, the Wildcats has a few points to play with. The Cats found themselves down by 2 with less than 10 seconds left and Carson White received a pass in the bottom left corner, she was inside the 3 point line about a foot so she did a step back beyond the arc and hit the bottom of the net to give the Cats a 1 point lead. The Bulldogs pushed the ball down the court quickly and actually had a decent short range shot that missed, they got the rebound and put another last second shot up before the buzzer and the ball rolled out of the rim to give the Cats the victory. Parks lead the Wildcats with 23 points and 10 rebounds for the double-double. White scored 16 points with 3 field goals, 2 three pointers, and 2 free throws. Almirante scored 9 points with 3 field goals and 1 three pointer and 6 rebounds. Tharp scored 5 points with 1 field goal and 1 three pointer and 5 rebounds. Myears scored 2 points and had 2 assists and 4 steals. Hughes and Hamilton both grabbed 1 point and Hamilton also had 3 assists and 1 steal.